My kids love sand art but in the past we bought small sets of sand art and they used the coloured sand to decorate pictures. 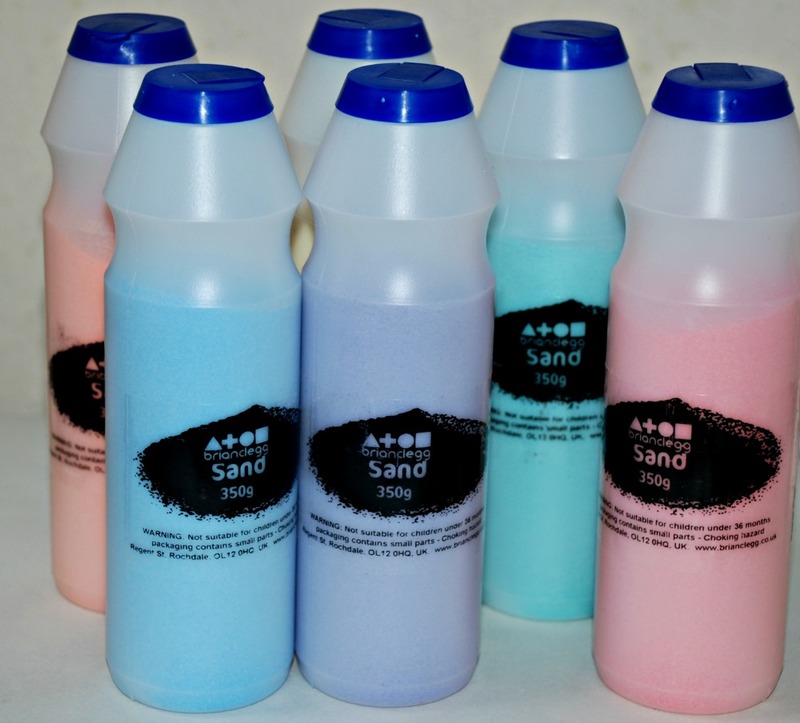 I never realised you could just purchase the coloured sand in bottles – like this set of six – pastel coloured sand. I know with both my kiddies they learn best when they are physically doing an activity. 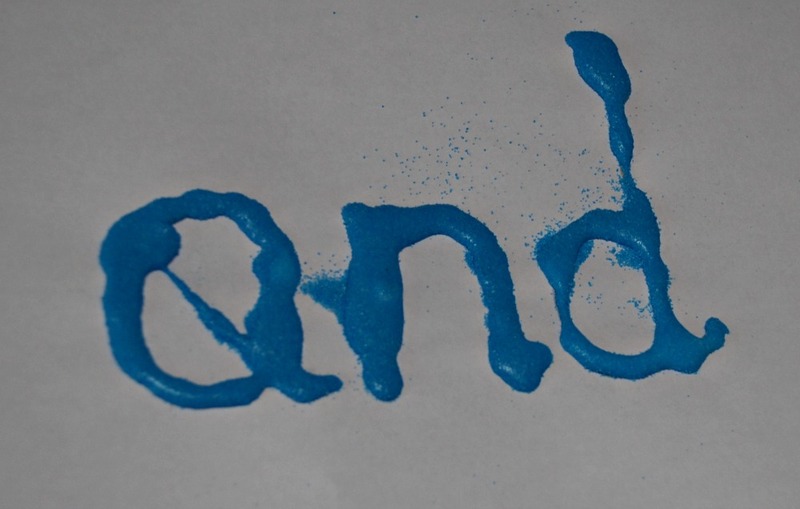 We have done word and letter mosaics (using beans and pasta) in the past so I thought why not try some sand words. I started off by writing a few words on some paper for my youngest and then he took over. 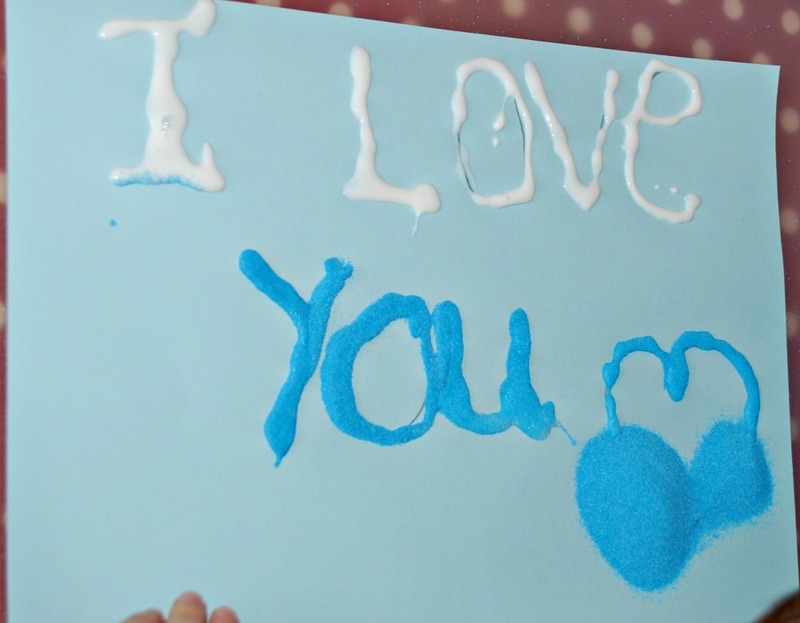 He traced over the letters with his glue and then added his sand. He really got into it and asked me to write out a number of phrases for him. 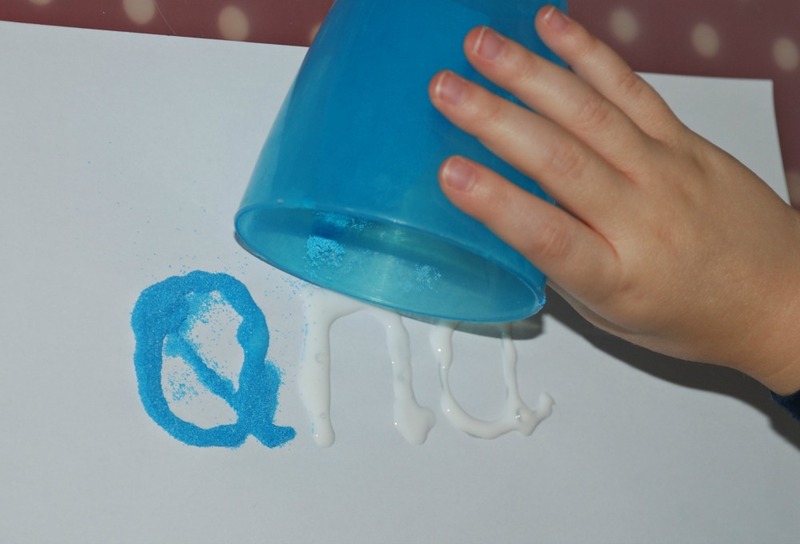 It ended up being a fun way of him practicing his letter formation. 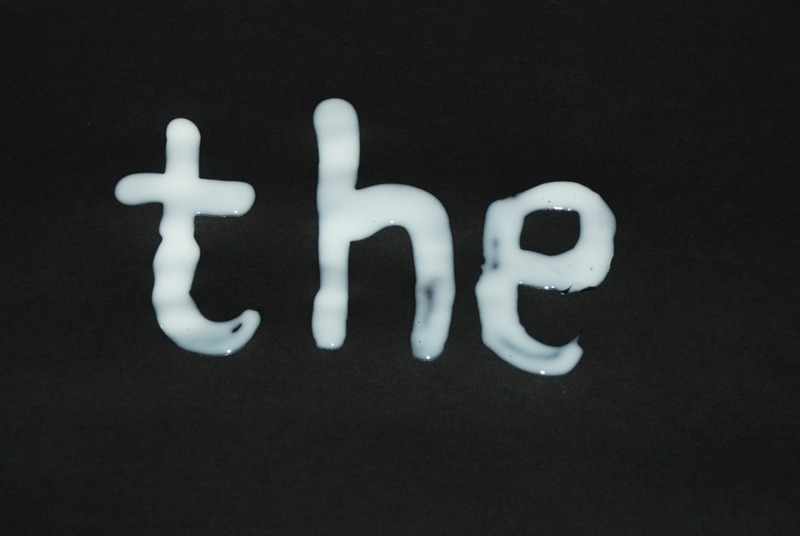 And the fact that the glue did not always trace over the words perfectly worked for him as he would tell me afterwards – the a is not supposed to have the line in it should be like this – and he would draw the a in the air for me. 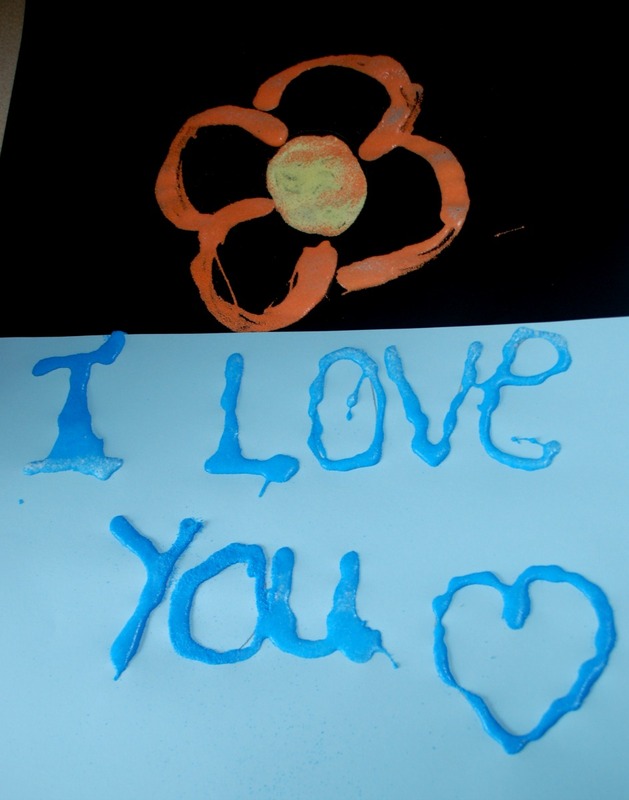 His big sister also joined in the fun and made me a card and did a lovely flower. 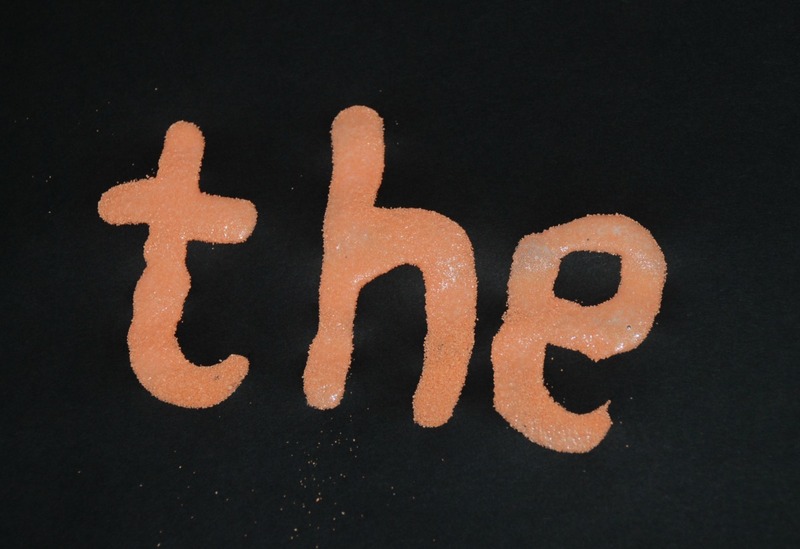 With my son he found it easier to pour the sand into a small cup before he sprinkled it onto his letters. He found the bottle just a bit to heavy and large for him (my daughter managed fine with the bottle). Also in order to contain the sand we did all of our sand words and pictures on trays. This definitely helps to contain the sand and make it easier to pour back into the cups and reuse the left over sand. And with all the words that we ended up making we only used a small amount of the sand from the bottles, I think the sand in those 6 bottles is going to last us for a number of different art and learning projects. 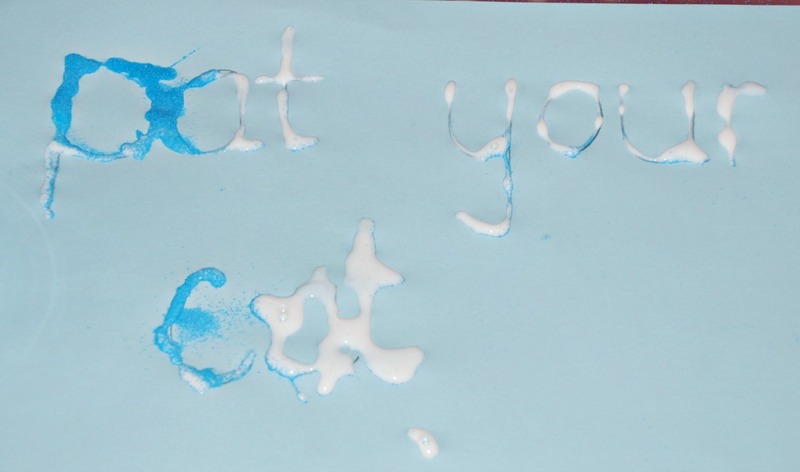 This entry was posted in Homeschooling and tagged home ed, homeschooling, sand art, sand words, sight words. Bookmark the permalink.